We can pick obvious ideas for the next iPad, like a quad-core processor and increased storage. Beyond that, I'm not sure what comes next..except for the iPad to make another leap into being a laptop-alternative mobile computer. What about using the large iPad as the place where iOS and Mac OS X meet? I've wondered about this junction for years, and while iOS and OS X have gotten closer in many ways, I think the time will come where the iPad can take another big step. Let's face it: the iPad's already made many of those steps, spiritually. I use a keyboard with mine regularly. Many people blog from them or use them as redefined PCs. The Surface and Windows 8 are paving the way for fusion and convertible devices, While bling my thing warp iphone x case - gold reviews some of these design concepts may click with users, many others will undoubtedly fail, Maybe that paves the way for Apple to develop its own hybrid in a few years, Add a keyboard and trackpad, and Mac cross-compatibility to the iPad, and it could be a tweener device, Microsoft's Surface and Windows 8 tablets show the way for a true hybrid, The Surface ads, as my wife reminded me, are compelling, The attaching of the keyboard to use anywhere, the laptop-meets-tablet sexiness.. The iPad already comes close to being a true computer replacement, but it's not quite there yet. The iPad has keyboards (I've reviewed most of them), but they're generally just typing accessories. They lack trackpads. You can't control the iPad like you can a regular laptop. Frankly, Apple doesn't need to be as aggressive as Microsoft. The iPad is a huge success. The App Store dominates. iOS is a massive platform. For all these reasons, Apple is taking a road of continuing current success, building more similar devices. The time for change simply hasn't arrived. Will it ever happen with Apple? 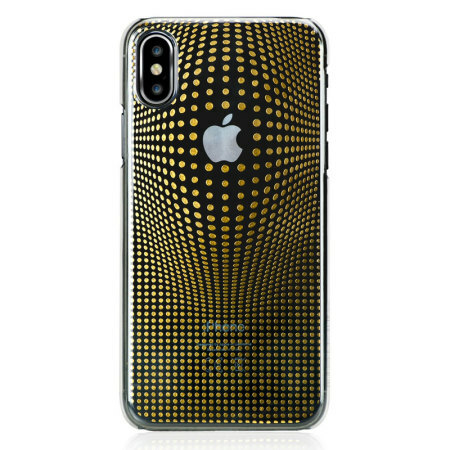 I don't think that time comes next year, or even the year after that, There will be bling my thing warp iphone x case - gold reviews a time, though, when iOS and OS X need to combine, Windows 8 is a harbinger of the future, Microsoft doesn't have an app platform, hence Windows 8, Apple needs to simply bring both of its platforms and operating systems together, because iOS is becoming, in many ways, much larger than a mobile platform, It's becoming Apple's primary software landscape, Mac OS X is already up to 10.8, What comes when we hit 11? I've always sensed it would be the moment where both of Apple's operating systems fused into one iOS-meets-OS X universe.. Desktop iMacs are getting thinner. So are MacBooks. Both feel, in terms of design, closer to the iPad's spirit. It's not a big leap to imagine grafting a keyboard onto an iPad. It could be the ultimate touch-screen Mac. Maybe it becomes an iPad when undocked, a MacBook Air when docked. Maybe it can pop onto a desk and become a mini-iMac, shades of the old PowerBook Duo. I don't know if this is what Apple envisions, but I can't imagine the iPad continuing on a separate path from Macs forever. Either OS X eventually gives way, or both environments evolve. On a larger iPad, it seems like these worlds could finally meet once processors take another big leap forward and cloud services continue to improve.